Who's scruffy lookin'? StarWars.com takes a deeper look at the many visions of a scoundrel and his loyal copilot. Before Han Solo became a simple smuggler, whose rugged uniform and ever-present blaster spoke to the bare necessities of a life on the run from decorum, he was envisioned as a refined space pirate with a glowing lightsaber. His companion, the mighty Chewbacca, now a walking carpet covered with voluminous and usually impeccably-styled fur, began life as a less-cuddly, pointy-eared creature with a toothy, gaping maw. 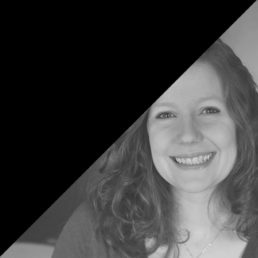 Together, they morphed into one of the most beloved and charismatic pairings in Star Wars, with the kind of partnership that lasts for years because its based on loyalty, trust, and friendship. Since we first met them inside the Mos Eisley cantina in A New Hope, they’ve continued to grow and change. They stopped fighting just for their own lives and joined the Rebel cause. Their found family expanded to include a princess and a farm boy looking for adventure. 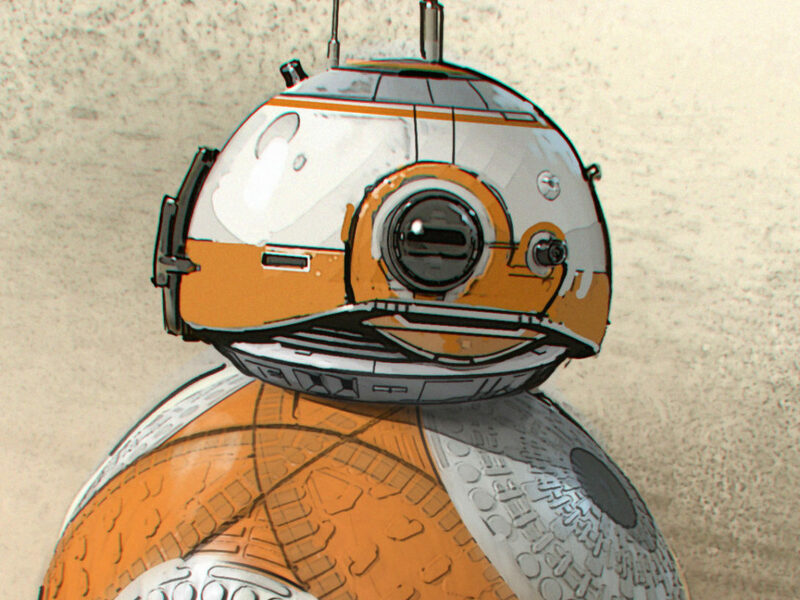 And while the character of Han met his end in The Force Awakens, storytellers weren’t finished with him yet. 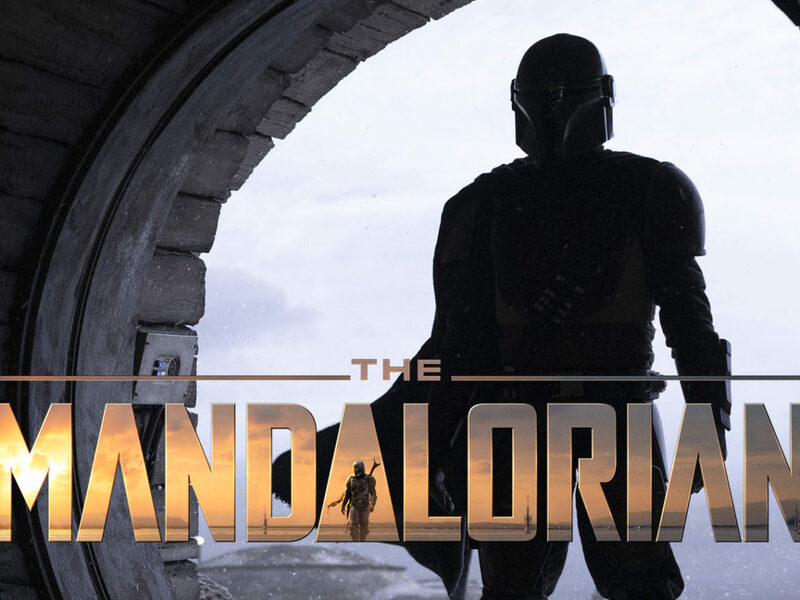 In preparation for Solo: A Star Wars Story, creators returned to some of Han’s earliest iterations and figured out how to reverse engineer all new concepts that would tell the story of Han’s youth on Corellia while still making sense of the scoundrel he would become. 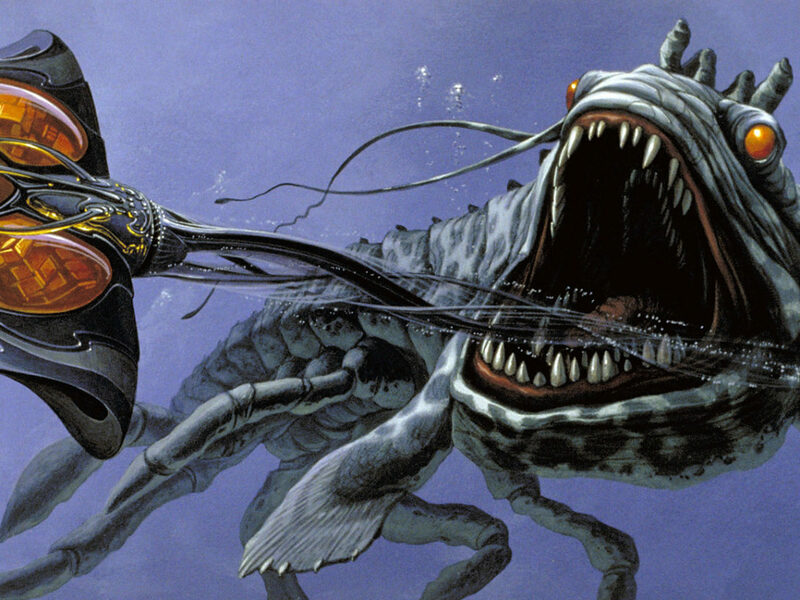 As is so often the case in Star Wars, tracing a design back to its roots leads to the concept art of Ralph McQuarrie. 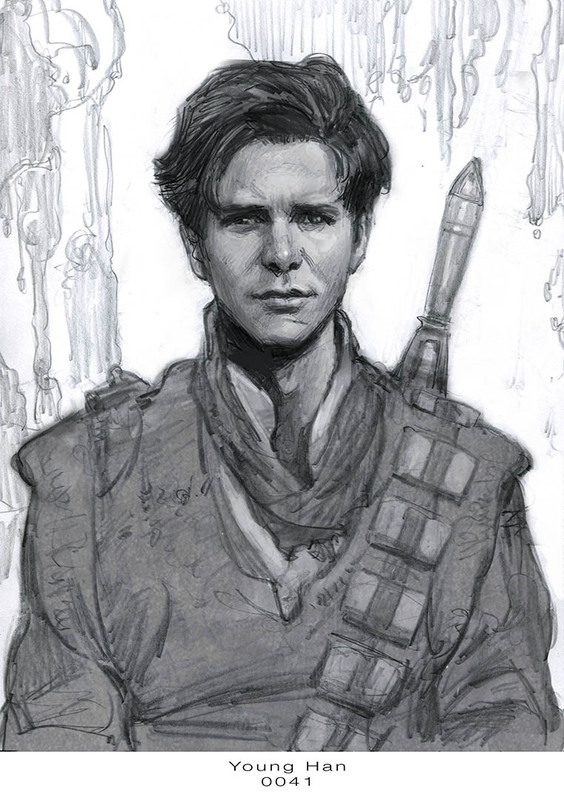 “In my early sketches I had Solo looking very dapper. 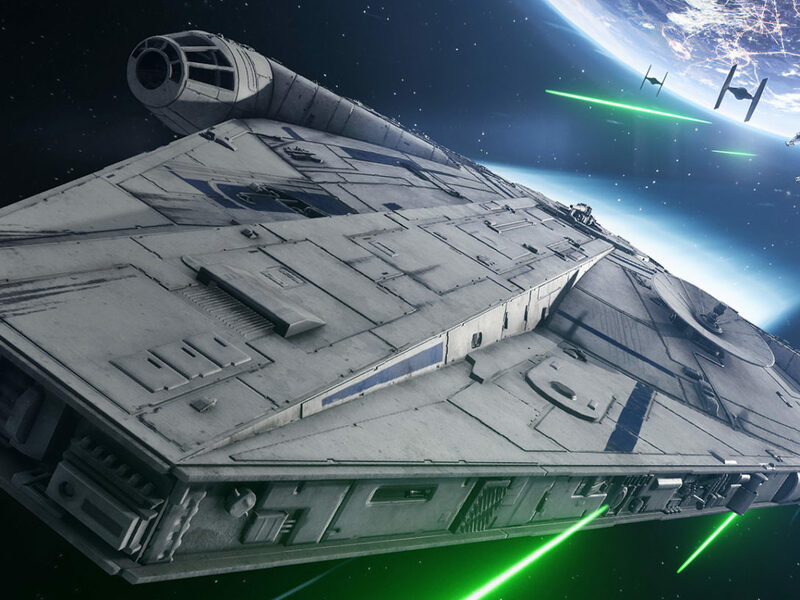 He had a lasersword and some sort of Flash Gordon headpiece that went over his forehead,” McQuarrie said in Star Wars Art: Ralph McQuarrie. In the earliest sketches and paintings, Han’s flashy style was a closer match to what would become Lando Calrissian’s signature flair. He even had the cape in one version, although other sketches show a barbarian-like pirate with muscular bare abs and sandals. George Lucas, however, had other plans. 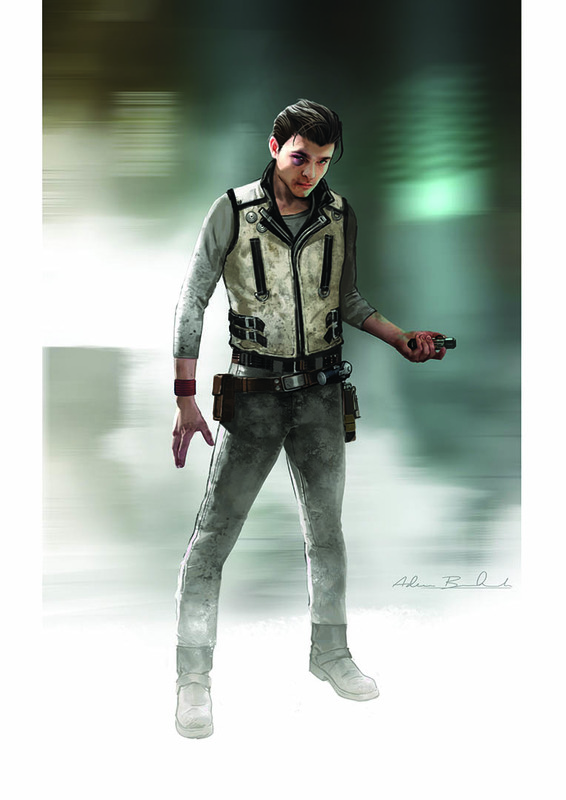 As the character’s place shifted from the central hero to the rugged, cynical, no-frills pilot side-kick, he called for a look to match: a well-worn vest, a plain shirt, trousers, and a pair of tall boots. 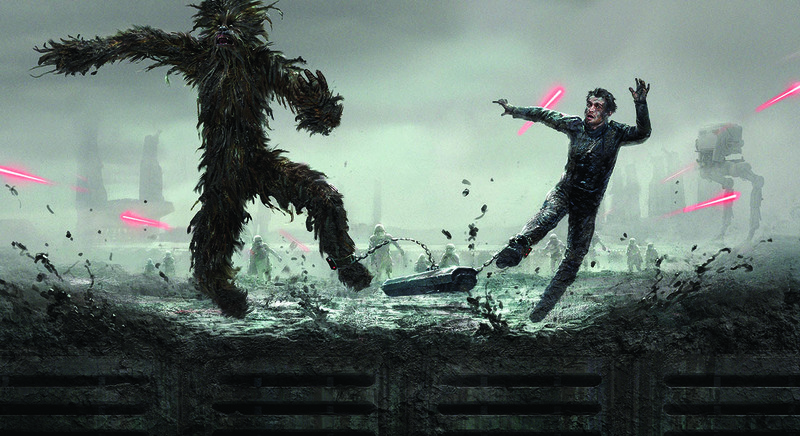 McQuarrie’s early takes on Chewbacca were celebrations of the Wookiee’s status as a fearsome warrior, a pointy-eared sidekick with flat features and a prominent maw, wearing a flak jacket, boots, and with a weapon at the ready. 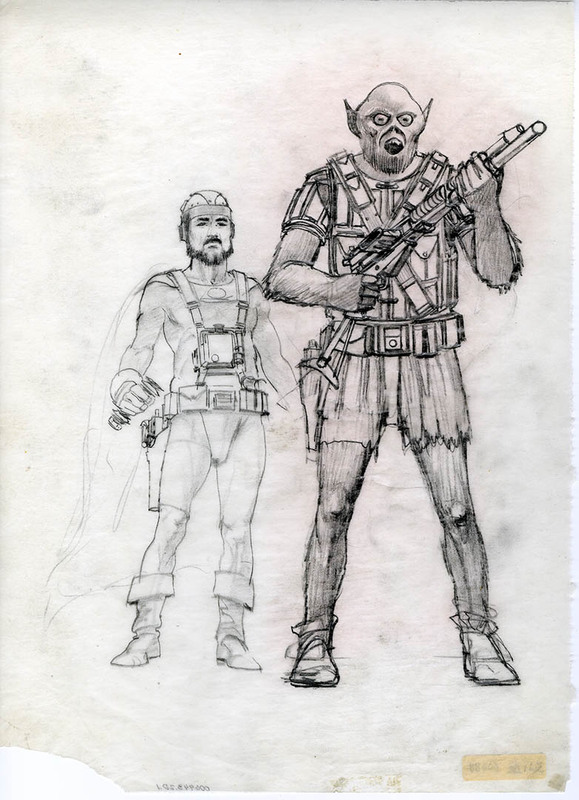 “George sort of liked this Chewbacca, but he thought it could be a little weirder,” McQuarrie has said (although the design resurfaced years later as inspiration for Star Wars Rebels’ Zeb). 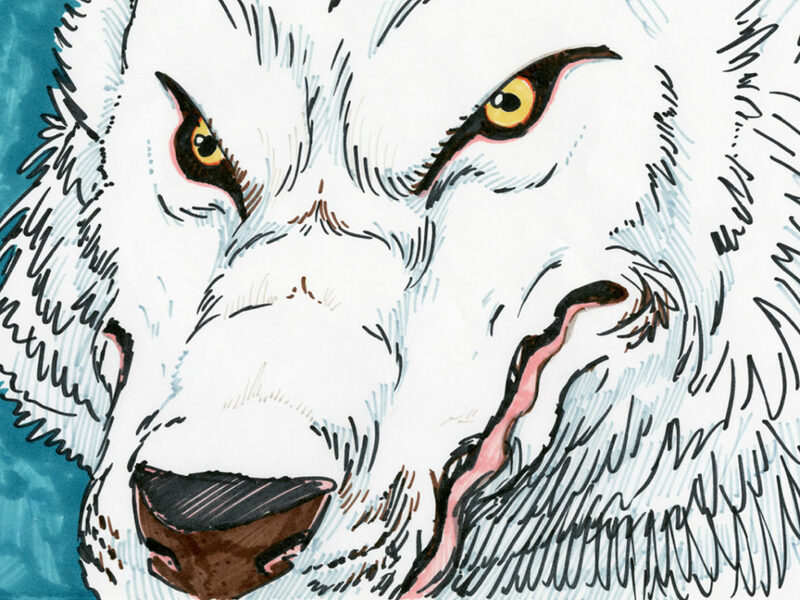 “When we started out, George was looking for crafty, lemur eyes, little rubber teeth—a frightening visage.” Then the features were softened, an homage to Lucas’s Alaskan Malamute, Indiana, who famously sat in the front seat of his station wagon looking ever like the faithful copilot. 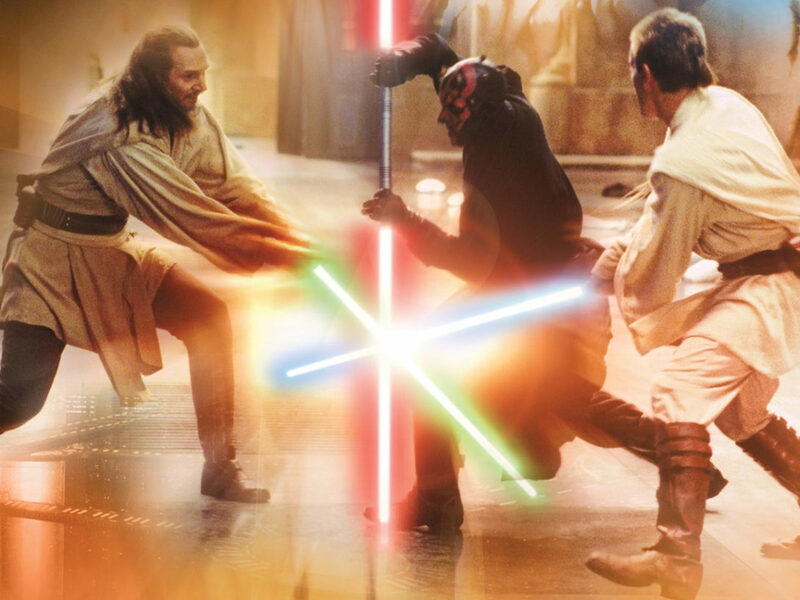 In the end, Chewie had a seemingly gentle nature that belied an intense ferocity that could drive him to pull a man’s arms out of his sockets in a fight, and Han became the rugged foil to Luke Skywalker’s youthful idealism, a tired and worn-down galactic traveler who wasn’t looking for adventure, but couldn’t hide a kind heart. 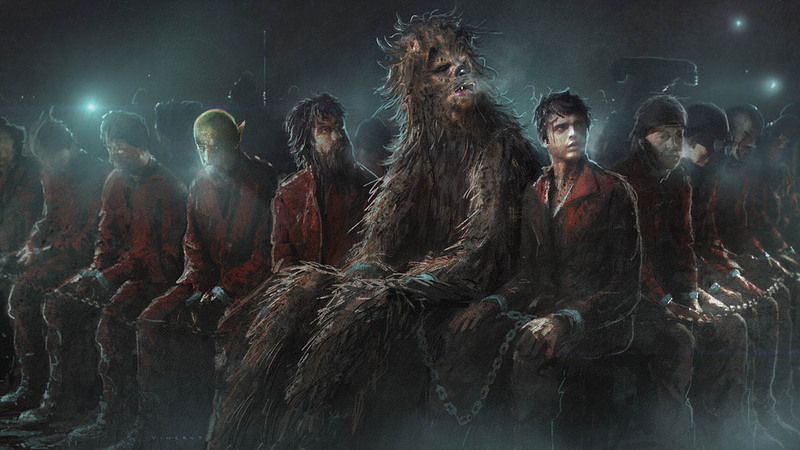 On film, the characters continued to flourish, but their look remained true to form until 2003, when early drafts of Lucas’s script for Revenge of the Sith included an appearance by a young Han on the Wookiee world of Kashyyyk. 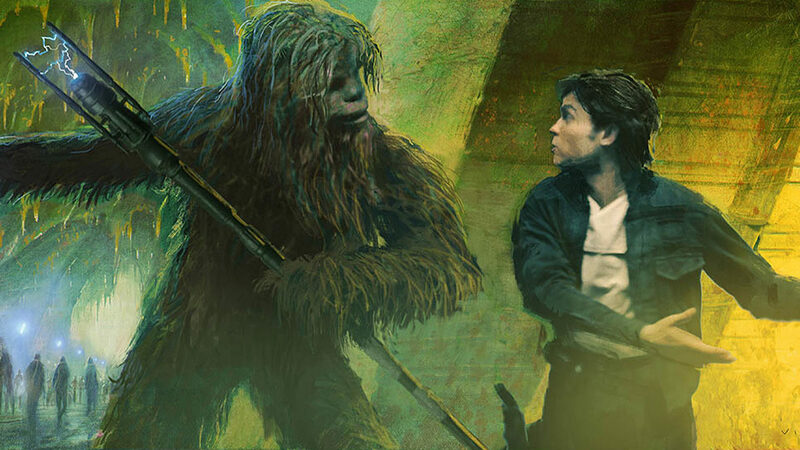 “In these drafts, Solo is revealed to have been raised by Chewbacca and, in one of the final battles of the Clone Wars, Solo would help Jedi general Yoda locate Separatist General Grievous,” author Phil Szostak wrote in The Art of Solo: A Star Wars Story. 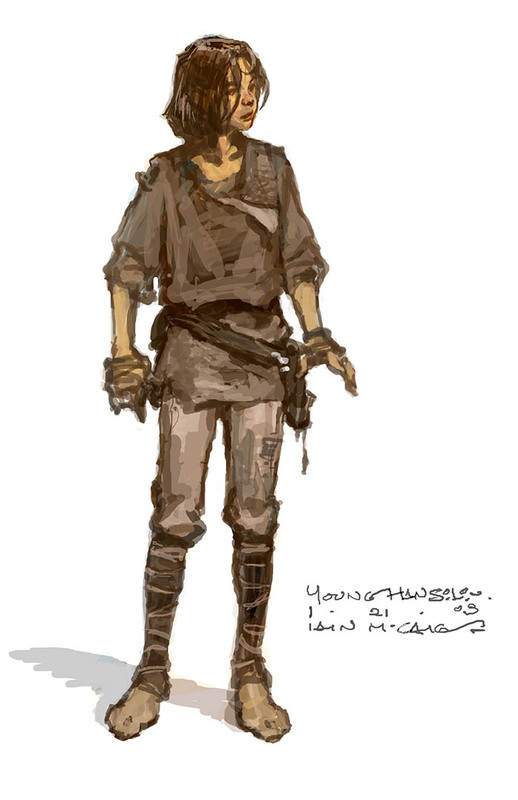 Concept artist Iain McCaig even sketched out the grubby young urchin, but he wouldn’t be called upon to revisit the character for another decade. 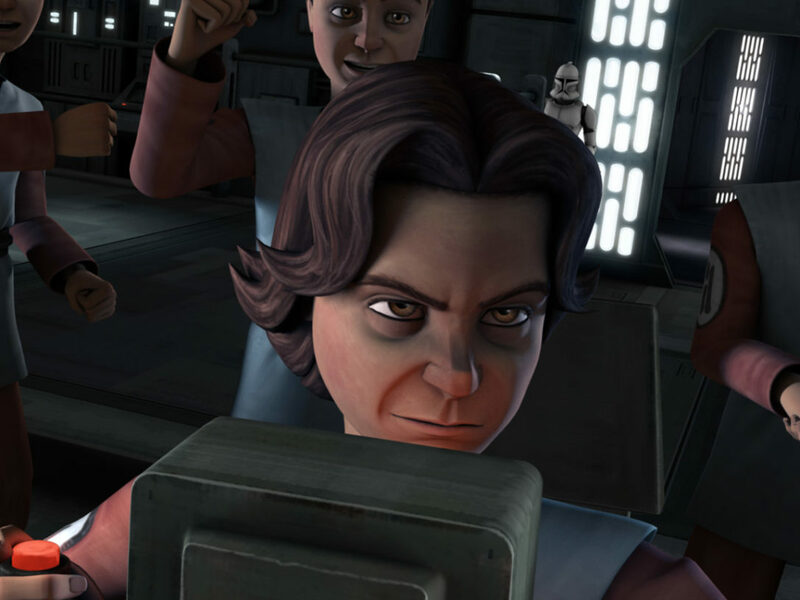 Originally codenamed “Harry and the Boy,” Solo gave creators the chance to give a young Han his own hero’s journey, from scrappy Corellian street rat to an eager explorer planet-hopping to distant worlds and tangling with unsavory characters in the hopes of finding a ship and a little money to call his own. Costume designers David Crossman and Glyn Dillon drew on real-world influences as eclectic as the Vietnam conflict to the punk scene of the 1980s, gleaning inspiration from bands like the Clash to give Han the scrumrat his appeal as an outsider. In meeting Chewbacca on the muddy world of Mimban, we found a slightly more world-weary Solo in Imperial armor and the normally shiny-coated Wookiee so caked in mud he was almost unrecognizable. 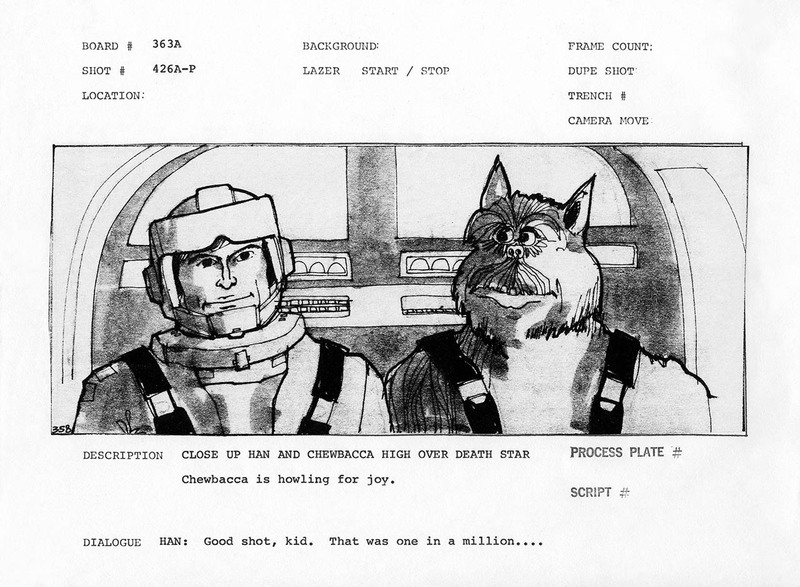 Chewbacca’s story in the film also gave designers license to expand the character’s look. 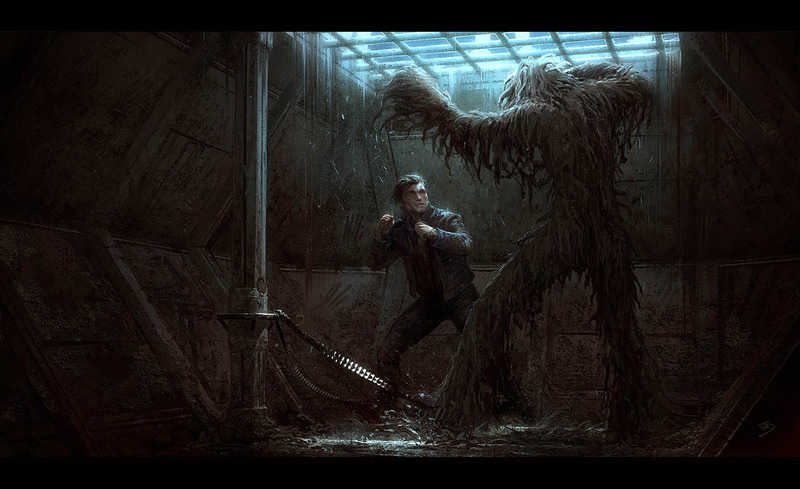 Malnourished, imprisoned, and abused, the Chewbacca Han first encounters is a shadow of his later self, more vicious beast than previously glimpsed. After a much-needed shower, the younger Chewbacca’s look retained a wildness in the free-flowing locks of glorious fur that betrayed the character’s own relative youthfulness. 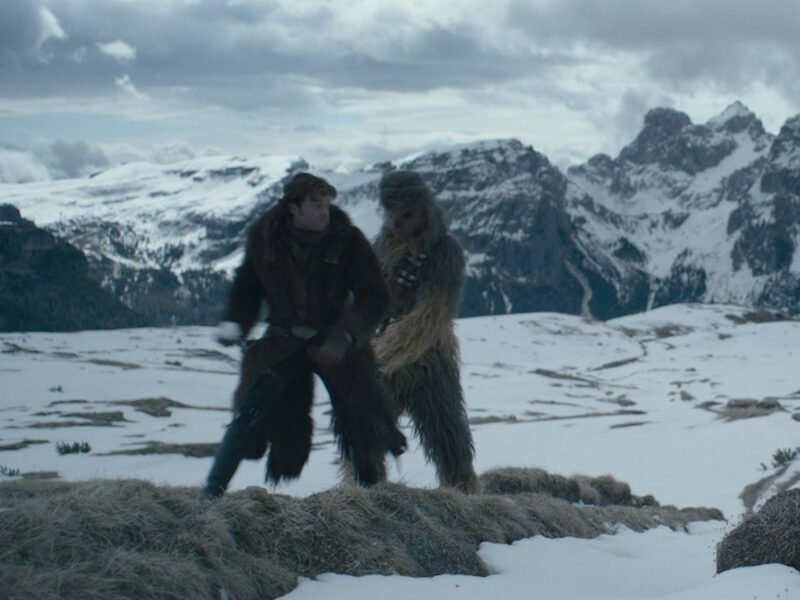 From smuggler to decorated war hero and back to scoundrel and street kid, as Han Solo has grown, evolved, and devolved, Chewbacca has changed right by his side. Featured concept art by Vincent Jenkins. Solo: A Star Wars Story arrives on Digital and Movies Anywhere on September 14 and on Blu-ray 4K Ultra HD, Blu-ray, DVD, and On-Demand on September 25.